Over the years, I've taken many trips where I've been disappointed with the terrible coffee offered in hotels – especially the in room coffee. The last thing you want when you first wake up on vacation is bad coffee – yuck! Luckily, it's never been easier to make great coffee yourself while on the road. 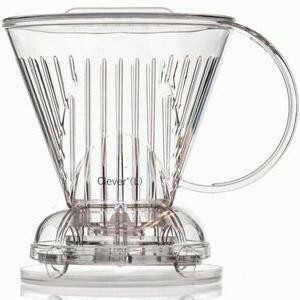 All you need are a few simple things..
i) The Clever Dripper - This simple brewing device is great for travelling because it's light, durable, and easy to use. 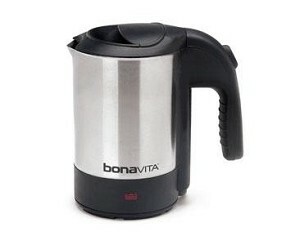 ii) Bonavita travel kettle – A compact kettle that holds 0.5l of water – just enough for 2 cups. It reaches its boiling point in a flash! iii) Paper coffee filters – Size #4 works well with The Clever Dripper. iv) A grinder – I use a small blade grinder. Not the best for consistency, but 'steep and filter' coffee is quite forgiving with respect to grind size. If you're really looking to travel lightly, you could consider pre-grinding the amount you need ahead of time – but I would only consider this for short trips. Stash these goodies in your suitcase and you’ll never have to settle for bad hotel coffee again! members of the co-op are part of Guatemala’s indigenous Mayan population and are dedicated to preserving the traditions of their culture while also working to achieve economic independence. Many Mayan communities throughout Guatemala suffered unspeakable atrocities during a period of civil unrest in the 1980’s and are still dealing with the economic difficulties that followed. The co-op was formed as a vehicle to open commercial markets to local farmers and ultimately improve their standard of living. As an organized entity, the co-op has worked with different agencies, government bodies, and non-profits over the years to bring many changes to their area including potable water, a primary school, health centre, electricity, telephones, a community centre, churches, and a community library (as seen to the right) among other things. 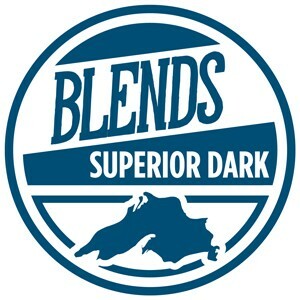 In an effort to promote a healthy symbiotic relationship with the natural environment, the cooperative is dedicated to organic production and has been producing certified organic coffee for export for more than 10 years.